The radical traditionalist Catholics, who reject the teachings of the modern papacy, may form America's largest group of anti-Semites. So began Mel Gibson's now infamous anti-Semitic rant to Los Angeles sheriff's deputies who pulled him over on suspicion of drunken driving last July. "The Jews are responsible for all the wars in the world," the world-famous movie actor continued, before asking his arresting officer: "Are you a Jew?" After his tirade made international news, Gibson promptly disappeared into an addiction clinic. He left behind a statement, released through a spokesman, begging the Jewish community for forgiveness and suggesting that booze was to blame. He was, he wrote, "in the process of understanding where those vicious words came from during that drunken display." But their origin is easy enough to pinpoint -- the extremist Catholic beliefs Gibson learned at the knees of his anti-Semitic father. Gibson's dad, Hutton Gibson, is an important player in the shadowy world of radical traditionalist Catholicism, also known as "integrism" or Catholic separatism. This religious subculture's teachings have little in common with the modern Roman Catholic Church and its universalistic theology. Hutton Gibson, for one, is a well-known Holocaust denier who believes the Second Vatican Council reforms of the 1960s, which made the church vastly more tolerant of other faiths, were the result of "a Masonic plot backed by the Jews." He is particularly incensed by the council's historic declaration, "Nostra Aetate," which condemned "all hatreds, persecutions, displays of anti-Semitism leveled at any time or from any source against the Jews." In Gibson's world, the Second Vatican Council's liberalizing reforms are rejected and anti-Semitic teachings and conspiracy theories are heartily embraced. Mel Gibson has his own traditionalist house of worship near Los Angeles -- a church, funded entirely by him, that is not recognized by the Los Angeles Roman Catholic Archdiocese. It is unclear what is said in the hallowed halls of the Holy Family Chapel, since, unlike virtually all other Catholic churches, it is closed to the public. What is known is that Gibson is reported to have blamed Jews for forcing him to cut a scene, in which Jews and their descendants are held responsible for the murder of Christ, from his 2004 film, "The Passion of the Christ." Sounding a bit like he did that July night in Malibu, Gibson told The New Yorker: "If I included that in there, they'd be coming after me at my house. They'd come to kill me." Few Americans defended Mel Gibson's drunken rant about the evils of the Jews. But radical traditionalist Catholics did. A three-year investigation of this subculture by the Intelligence Report has found that these Catholic extremists, including the Gibsons, may well represent the largest population of anti-Semites in the United States. Organized into a network of more than a dozen organizations, scores of websites and several extremist churches and monasteries, radical traditionalists in the U.S. are preaching anti-Semitism to as many as 100,000 followers. A few, such as the lawyer for Terri Schiavo's family, Christopher Ferrara, are even movers and shakers in important right-wing Republican circles. 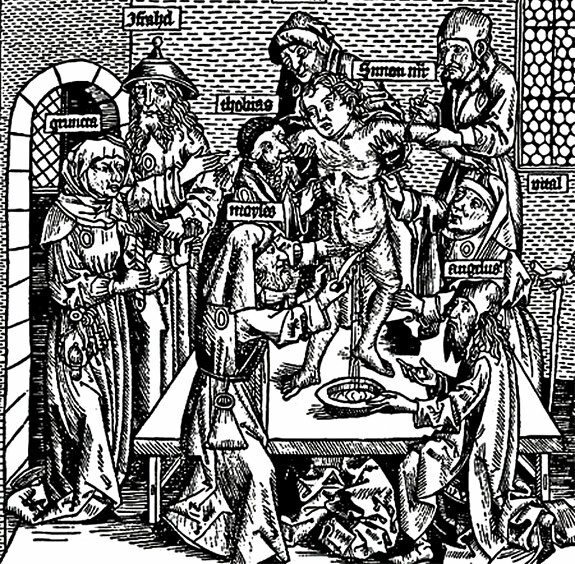 A persistent myth, promoted by the Catholic Church in the MIddle Ages, accused Jews of draining the blood of Christian children in order to make matzoh. The Philadelphia airport Holiday Inn is an odd place to celebrate a Catholic mass, especially in a city filled with lovely churches and an extraordinary, century-old Romanesque cathedral. But the inn is where the radical traditionalist Catholic outfit, (CFN), held its annual conference in 2003, dressing up one end of a drab conference room with an altar, incense, and a statue of the Virgin Mary, and transforming it into a church. The rest of the hall looked rather different. Vendors set up folding tables along almost every inch of the remaining walls, piling them high with books, videotapes and Catholic accessories. The stacks were notable for the prominence of anti-Semitic and extremist materials, from The Protocols of the Elders of Zion to Hutton Gibson's Is the Pope Catholic? to CFN head John Vennari's popular anti-Semitic conspiracy tract, The Permanent Instruction of the Alta Vendita. Priests in Roman collars staffed many tables; brown-cloaked monks manned others. CFN conferences hearken back to the era before the Roman Catholic Church enacted the liberalizing Vatican II reforms, which removed from the weekly Mass prayers for the conversion of the Jews and also ended the centuries-old practice of celebrating the Mass in Latin, the Vatican's official language. At the Holiday Inn in 2003, Sunday's religious activities started with a now rarely celebrated hour-long recitation of the rosary. After that, apostate priests conducted a rendition of the Latin Mass, a format dating to the Middle Ages, before an audience remarkable for the veils that covered every woman's hair and the time it spent on its knees. Vatican II did not ban these time-honored celebrations, and many Catholics who call themselves "traditionalists" continue to worship in this manner in churches that remain an official part of the Holy See (these churches are awarded an "indult" that allows them to continue celebrating the Latin Mass). The vast majority of those who practice Catholicism in this older form are unrelated to the radical traditionalist Catholics who gathered in Philadelphia. Indeed, the groups that gave presentations at the CFN conference preach a theology specifically rejected by the Vatican, and many have been declared schismatic, or officially separated from the church. The participants at the CFN conference spent most of their time bashing Jews and, in particular, dwelling on the perils of the much-feared "Judeo-Masonic" plot. As preached from the pulpit that day, the alleged conspiracy involves ancient, shadowy fraternities such as the Masons and the Illuminati, who are seen as puppets in a Jewish master plan aimed at destroying the Catholic Church. The theory is laid out in great detail in Venarri's Alta Vendita, which has been compared to The Protocols of the Elders of Zion, an infamous tract also alleging a global plot by the Jews. But the "Judeo-Masonic" plot wasn't the only fearful conspiracy that was described that day. There was also the "Marxist-Jewish" scheme that is ruining our schools, the "Jewish-homosexual" alliance that is destroying the priesthood, and, naturally, the 9/11 conspiracy, which has to do with the fact that the 2001 terrorist attacks were actually "predicted by the Blessed Virgin Mary 84 years ago." The Philadelphia Jew-bashing was not a one-off. Several such conferences are held quietly around the country each year, and they attract thousands upon thousands of people. The Intelligence Report also attended a radical traditionalist conference held in 2005, a year and a half after CFN's. Put on by the St. Joseph Forum (SJF) of South Bend, Ind., the conference was held at a Quality Inn up the road from Notre Dame, the esteemed Catholic university seen by conference attendees as fatally corrupted by multiculturalism and religious tolerance. The SJF conference, attended by more than 250 people, was awash with extremists. A favorite of the crowd was Father Stephen Somerville, who Mel Gibson employed as his spiritual adviser during the filming of "The Passion of the Christ." Somerville was suspended in 2004 by the Vatican for schismatic behavior and is a popular speaker at radical traditionalist Catholic conferences. At the forum, he raged at "a corrupt subculture or network of homosexuals" ruining the priesthood. But the most extreme comments of the weekend came from Brother Anthony Mary of the Slaves of the Immaculate Heart of Mary, a monastery and order based in Richmond, N.H. (The Slaves were founded in the 1950s by Boston-based priest Leonard Feeney, an anti-Semite ultimately excommunicated by the Vatican.) Mary's presentation was entitled, "The Fruits of Zionism." "The perpetual enemy of Christ is the Jewish nation," Brother Mary roared, explaining that the aim of the Jews is to "destroy all Christian nations." Mary blamed Jews for both world wars -- an opinion also mouthed by the drunken Mel Gibson -- and a coming world government. Professing from the pulpit a "great hatred" of Jews, Brother Mary declared that "Jews are the synagogue of Satan" -- a phrase that is also part of the official ideology of the neo-Nazi Aryan Nations. "We must always and everywhere," he added, "oppose Jewish schemes." The infamous "radio priest" Charles Coughlin was known for his weekly denunciations of Jews on CBS radio in the years leading up to World War II. Since the colonial period, American society has been marred by sometimes savage anti-Catholic prejudice, an antipathy that mushroomed as waves of Irish, Italian and German Catholics arrived here in the 19th and early 20th centuries. Anti-Catholic hatred fueled the 1850s rise of the Know Nothings, the largest third party in U.S. history, and it also drove the resurgence of the Ku Klux Klan in the 1920s, when nearly 4 million Americans became members. Yet some of America's greatest peddlers of hate have themselves been extremist Catholics. 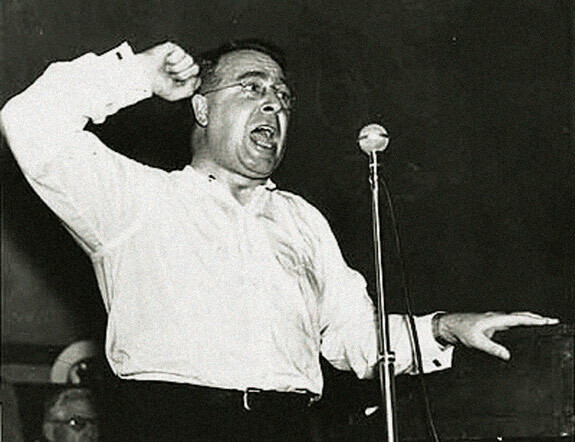 The best known of these was Father Charles Coughlin, the Michigan "radio priest" who at his height in the late 1930s was spewing pro-Nazi propaganda to 3.5 million listeners on his CBS radio broadcasts. Repeating common anti-Semitic canards, Coughlin blamed the Great Depression on an "international conspiracy of Jewish bankers"; Jews also got the blame for communism. Two weeks after the German national pogrom known as Kristallnacht, Coughlin blamed the Jews for their own persecution, making him a hero in the German press. Also in 1938, Coughlin published an article in his Social Justice weekly -- which at one point had 1 million subscribers -- attacking Jews, atheists and communists. Parts of the article were plagiarized directly from the English translation of a 1935 speech by Hitler's propaganda minister, Joseph Goebbels. Coughlin was finally forced off the air in October 1939, the month after Nazi Germany's invasion of Poland. 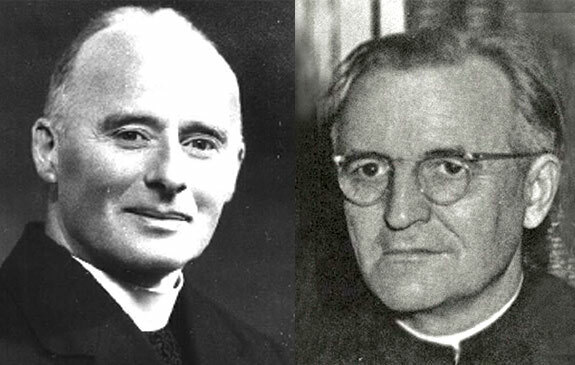 Two other priests, both now dead, serve as the primary inspiration for today's radical traditionalist Catholics. The first is Father Denis Fahey, an Irish priest who died in 1954 and was much admired by Coughlin -- just as he is also admired by today's neo-Nazis, some of whom have contributed a number of his quotes to "1,001 Quotes By and About Jews," a feature on the racist Stormfront website. Fahey was a prolific author whose main topic was the inherent evil of the "Jewish Nation." Repeating classic anti-Semitic allegations, Fahey blamed nearly all iniquity on Jews. According to an article by Sandra Miesel in Crisis, a conservative Catholic magazine, Fahey "enjoyed quoting papal policy statements against Jews, coyly refused to reject the long-debunked Protocols [of the Elders of Zion], praised the anti-Semitic activities of [automaker] Henry Ford, and denied the death toll from the Holocaust." Taking on the church's main bogeyman in the early 1900s, Fahey laid atheistic communism directly at the feet of the Jews: "The real forces behind Bolshevism are Jewish forces, and Bolshevism is really an instrument in the hands of the Jews for their establishment of their future Messianic kingdom." Along with Coughlin, Fahey is the main source for The Plot Against the Church, a 1967 book supposedly written by 12 clerics under the pen name "Maurice Pinay." Similar to the Protocols of the Elders of Zion, the book blames Jews, also referred to as the "synagogue of Satan," for every evil that has befallen Catholics from Roman times to the present. Citing ancient papal writings, the book suggests that Jews be expelled or enslaved, segregated and forced to wear visible marks. It's little wonder that modern neo-Nazis praise Pinay's work. But so do large numbers of radical traditionalist Catholics, and the book is sold by Omni Christian Book Club, the favorite bookseller of today's radical traditionalists. The late priests Denis Fahey (left) and Leonard Feeney were key early thinkers of the radical traditionalist Catholic movement. Feeney is buried near a chapel in Still River, Mass., that still promotes his ideas, but is less radical than a group of Feeney followers based in Richmond, N. H.
The second great inspiration for contemporary radical traditionalists is Father Leonard Feeney, another fervent anti-Semite who was for years a leader of Boston's St. Benedict Center, a Jesuit institution. Feeney is best known in Catholic circles for his especially hard-line version of the "no salvation outside the church" doctrine. Feeney also is known for preaching against Jews on the Boston Common with his followers. Although he was finally excommunicated for disobedience in 1953, he rapidly founded his own order, Slaves of the Immaculate Heart of Mary, and started a newsletter, The Point, that was suffused with anti-Semitism. Feeney's newsletter blamed Jews for controlling and biasing the press and for creating communism. One article lambasted Jews for their role in the "anti-hate" initiatives that it despised. Another, published in April 1958, was entitled "Newspapers and The New York Times: Other Jews and Minister Sulzberger" and summed up the Jewish "problem" like this: "Essential to the understanding of our chaotic times is the knowledge that the Jewish race constitutes a united anti-Christian bloc within Christian society, and is working for the overthrow of that society by every means at its disposal." Feeney did reconcile with the church in 1974, four years before his death. But his anti-Semitic ideas remain popular in radical traditionalist Catholic circles and in the New Hampshire monastery his followers started, which still endorses his anti-Semitic ideology, to the point that a New Hampshire bishop lambasted the monastery's teachings in 2004 as "blatantly anti-Semitic" and "offensive." The bishop isn't the only one who sees Feeney as anti-Semitic. One white supremacist has created an online archive of Feeney's writings (fatherfeeney.org) for the benefit of fellow Aryans. It is part of the so-called "World White Web." 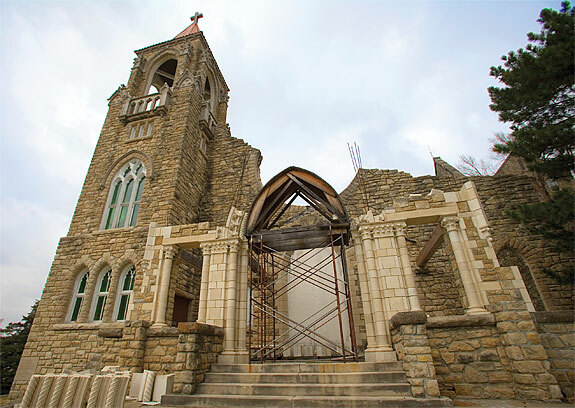 The Society of St. Pius X is adding a new chapel to its compound in St. Marys Kan. Like much of the radical traditionalist Catholic movement, the organization is expanding despite a theology shot through with anti-Semitism. Today's radical traditionalist Catholics -- the theological descendants of Feeney and Fahey -- are part of a thriving, energetic movement, even if it is one that is tiny when compared to the approximately 70 million Americans who are mainstream Catholics. The dozen or so organizations that make up this movement read each other's writings, buy each other's conference tapes, and co-publish major theological works. They put on conferences several times each year that are served by circuit-riding preachers like Brother Mary and Father Nicholas Gruner. The movement is important for a number of reasons. It is growing, and spreading its anti-Semitic teachings, at a time when anti-Semitism and religious conflict generally are clearly resurgent around the world. Some of the most radical of the traditionalists are increasingly interacting with neo-Nazis and their fellow travelers. For example, John Sharpe, head of the anti-Semitic Legion of St. Louis, attended the 2006 conference of American Renaissance, a racist publication that specializes in race and intelligence. That same year, Father Gruner, leader of the International Fatima Rosary Crusade, attended a conference of The Barnes Review, a Holocaust denial journal. Gruner celebrated a special Mass at the Washington, D.C., conference, which was also attended by an array of long-time neo-Nazis, white supremacists and other anti-Semites. The radical traditionalists may also be gaining influence on the larger political scene. The best example of this is Christopher Ferrara, the lawyer who in 1990 started the American Catholic Lawyers Association to defend "Catholics in religious and civil liberties cases." Ferrara writes for anti-Semitic traditionalist journals like The Remnant. He recently said Pope Benedict XVI had "abased himself by entering a synagogue." He uses Robert Sungenis, a particularly venomous anti-Semite, to staff the "Apologetics Desk" at his legal organization. But he also was the lawyer for the family of Terri Schiavo, the brain-damaged Florida woman whose feeding tube was removed in 2005 after a protracted court battle. In that role, Ferrara rubbed shoulders with key Republican and Christian Right leaders who convinced Congress to pass a law to protect Schiavo that was ultimately killed by the courts. If radical traditionalists belong to a particular sect -- and many do not -- it is most typically the Society of St. Pius X (SSPX), a sprawling international group that publishes reams of anti-Semitic writings on its Web site and is based, in the United States, in Kansas City, Kan. In the late 1980s, Pope John Paul II excommunicated all SSPX priests and declared the sect formally in schism, but it has continued to grow. In America, 20,000 to 30,000 people are members. Many of these radical traditionalists embrace "sedevacantism," a word derived from the Latin that refers to a period when "the see [or seat] is vacant." While the term is the official Roman Catholic word for the period between a pope's death and the election of his successor, many radicals are sedevacantists in the sense that they believe that there has not been a real pope for years (typically, since 1958). Some have adopted conspiracy theories about rigged papal elections and even the idea that the authentic pope is secretly being held in captivity. The radicals' understanding of what has gone wrong with the world boils down to a few basic things. They believe that most of the theological developments within the church since Vatican II have been egregiously wrong, especially with regard to reconciling with Jews and the followers of other faiths. They despise the Vatican's ecumenical outreach efforts. And they lament the fall of the Latin Mass and argue that the new Mass, "Novus Ordo," does not guarantee salvation. Through it all, disdain and even outright hatred for Jews flows like a poisonous river. For the vast majority of Catholics, the existence of an anti-Semitic, sedevacantist subculture is highly distressing. The church has worked extraordinarily hard in recent decades to distance itself from anti-Semitic teachings and the idea of forcing its view of the world on unbelievers. And, by most accounts, it has been successful, with many Jewish and organizations from other faiths praising its efforts. Abe Foxman, head of the Anti-Defamation League, signaled his gratitude after the 2005 death of Pope John Paul II, who, he said, "revolutionized Catholic-Jewish relations" by denouncing anti-Semitism as a "sin against God and humanity." More recently, Pope Benedict XVI's repeated clarifications of statements he made about the Islamic faith in September reflected a commitment to interfaith dialogue. Yet the ranks of the radical traditionalists seem to be swelling. Michael Cuneo, a scholar of Catholicism, wrote in his 1997 book The Smoke of Satan that weekly attendance at American chapels of the Society of St. Pius X had been growing at about 10% annually since the late 1980s. Today, SSPX, which raises its own funds without help from Rome, employs 336 member priests in 27 different countries, teaches 226 seminarians in six international seminaries, runs 130 priories, and serves more than 600 Mass centers. The group also runs nine retreat houses, 14 major schools, and another 50 schools connected to priories or chapels. Stephen Hand, a respected Catholic theologian and editor of the Web-based Traditional Catholic Reflections and Reports, wrote in 2000 of his worries about the growth of the movement. "Integrism," he said in his book Tradition, Traditionalists and Private Judgment in a reference to radical traditionalist Catholicism, "is a bitter affair, a joyless 'faith.' It thrives on polemics, on opposition and hatred." There is little question that much of the world is seeing a resurgence of ethnic and religious hatreds and accompanying violence. As dangerous conflicts between Christianity and radical versions of Islam multiply around the globe, the last thing humanity needs is still one more form of religiously based extremism.